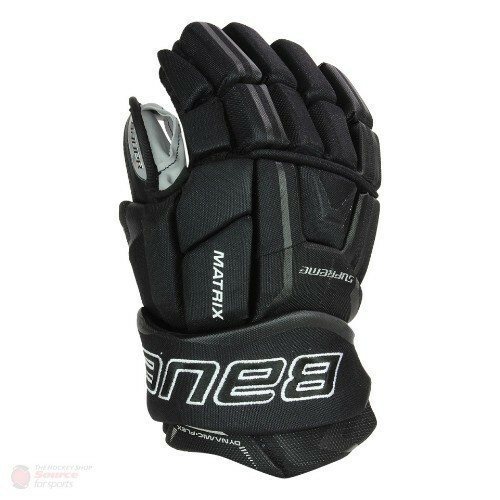 The Bauer Supreme Matrix gloves are a Source for Sports exclusive model based on the Bauer Supreme 190 gloves with upgraded features taken from the TotalONE MX3 gloves. An anatomical fit stays true to the supreme line offering a tight fit through the fingers and palm of the glove and widening at the cuff to allow for better wrist mobility. To add to the mobility of the glove, a pro multi segmented cuff with flex notch plays into the anatomical fit allowing your hands to shine through.